The Armenian Chess Federation is organizing the 4th Annual Karen Asrian Memorial which will take place from 15th to 25th June, 2011, in the prominent resort town of Jermuk. All interested chess players can participate in the 9-round Swiss tournament. The total prize fund amounts to 15,000 US dollars. Last year winner was GM Tigran Kotanjian. Karen Asrian passed away in June 2008, at the age of 28. 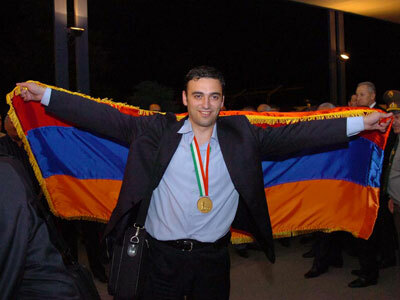 He was member of the Armenian national team which won the first gold medal at the 2006 Chess Olympiad in Turin.